Last edited by WTK; 07-07-2015, 07:48 PM. Patlabor 2 the Movie (DVD) due out on 7/21/15. Last edited by WTK; 05-19-2015, 12:55 PM. 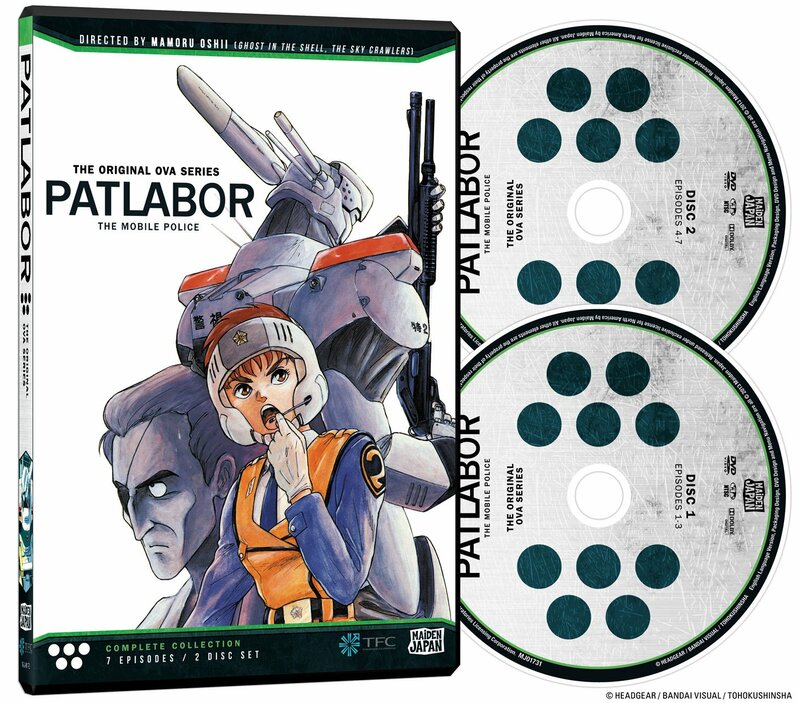 Patlabor the Movie (DVD) due out on 5/5/15. Last edited by WTK; 03-03-2015, 08:56 PM. Last edited by WTK; 12-16-2014, 08:54 PM. Kenneth_Lee started a topic [US BD] Any news on Patlabor 2nd OAV Series to Blu-Ray? Any news on Patlabor 2nd OAV Series to Blu-Ray? Last edited by WTK; 11-14-2013, 03:57 PM. Patlabor The Mobile Police (TV): Collection 3 (DVD) due out on 11/5/13. Last edited by WTK; 09-10-2013, 11:18 AM. Patlabor The Mobile Police (TV): Collection 2 (DVD) due out on 9/10/13. Last edited by WTK; 07-23-2013, 12:31 PM. Last edited by WTK; 05-21-2013, 11:49 AM. Last edited by WTK; 03-08-2013, 07:30 AM.